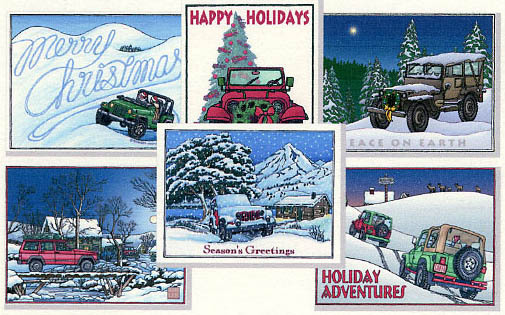 Christmas is just around the corner but it isn’t too late to pick out the perfect gift for your off-roader! Granted, I generally speak of mostly Jeep off-roading items but we all know there are many types of off-roading vehicles out there so I wanted to make sure I included everyone and every type of off-roading vehicle driver in my list of gifts you can get for your special off-roading enthusiasts. This list will include gifts and ideas that are under $25.00 for any off road enthusiasts. If you don’t see something on this list, stay tuned because the next several blogs will be gift ideas for any off-roader! If you haven’t found just the right gift off this list, wait for tomorrow Gifts under $50.00 blog. Previous Entry Grab Handles ~ How Universal are they? I have 3 off road boys and I’m always scratching my head trying to come up with ideas for them. Thanks for the list, it is totally appreciated. Great gift ideas. Thanks for doing the research. I’m getting the air deflaters for myself. The adventure DVD’s might be the perfect gift for my son. He can hardly wait until he’s old enough to join his Dad and brother off road, when he can be behind the wheel. Since we have a $50.00 limit on our gift exchange I’ll be able to purchase a couple of these items for my brother and I know they are things he will both appreciate and be able to use. Our club is doing a gift exchange and I’ve gotten some really great ideas from your site. I’d like to have the digital tire guage and the air deflator and at these prices I have a good chance at getting both. Thanks for all the gift ideas. I didn’t even know these things existed.